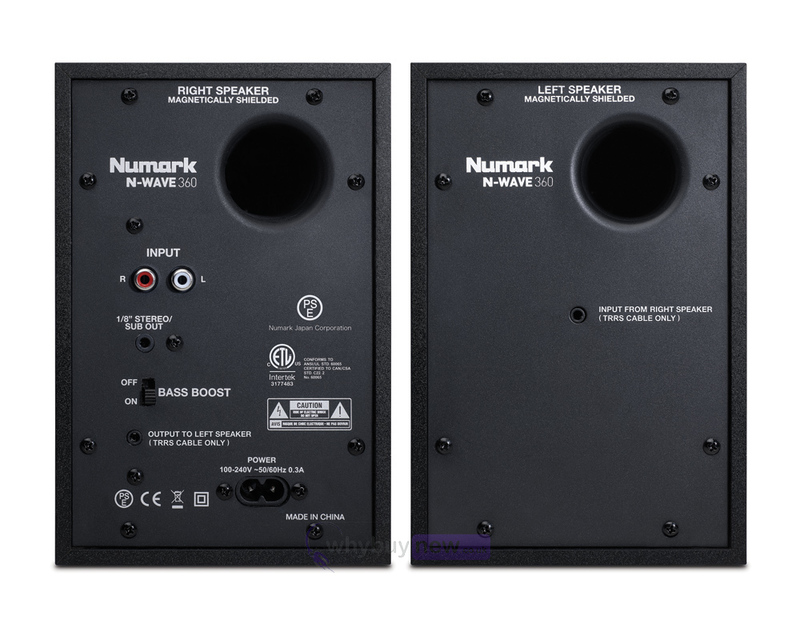 The Numark N-Wave 360 has been designed to offer the bedroom DJ impressive sound in a compact format, and includes two matched speaker cabinets. Each cabinet contains a 1" silk dome tweeter-with blue LED illumination-matched with a 3" woofer via a precision crossover circuit. The onboard amplification system can deliver up to 60 Watts of peak power. 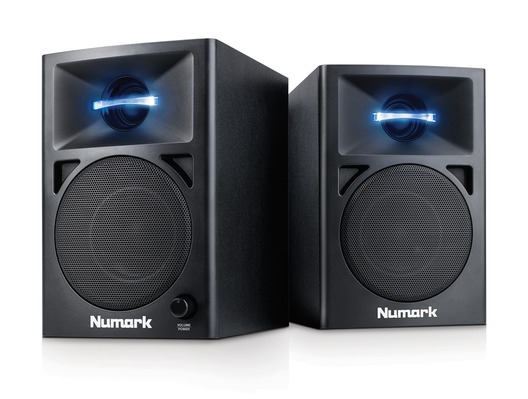 These magnetically shielded powered monitors are ideal for a compact setup; they won't interfere with other electronics and offer extra protection when used near a video monitor. 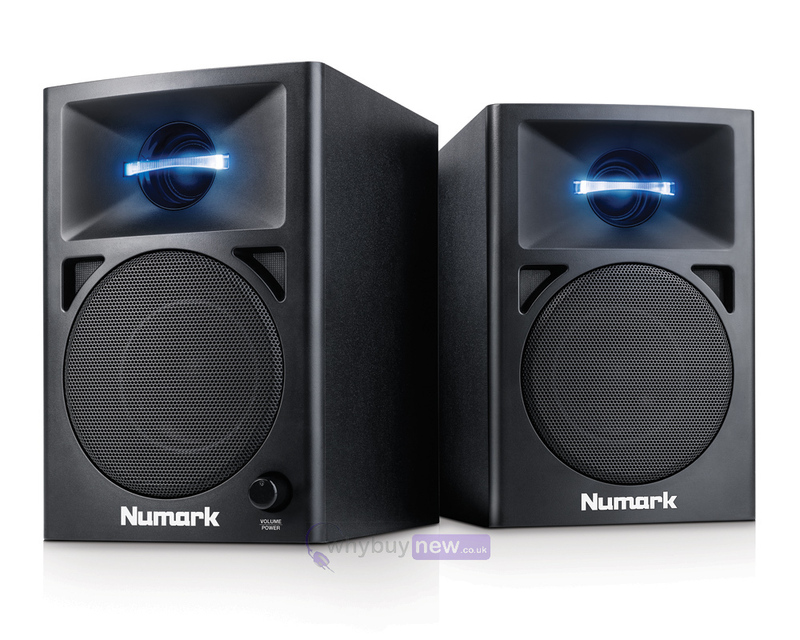 Here we have the Numark N-Wave 360 in brand new condition and in B-Stock. The B-Stock versions would have been on display at a training evening or trade exhibition only and will come boxed 'as new' with all accessories and a 1-year warranty. So much louder than they look like they will be. I think for the price you can not go wrong with these little badboys.